Follow these steps to access the System Settings. Also note that this requires a special edition of the Activio system with watt support. 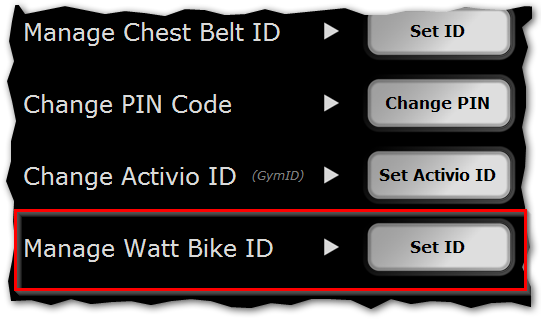 On the System Settings page, select Manage Watt Bike ID > Set ID. Follow the instructions on the page to scan for transmitting bikes and automatically populate the list or enter the ID's manually. NOTE! The scan mode clears the list every time the button is pressed!